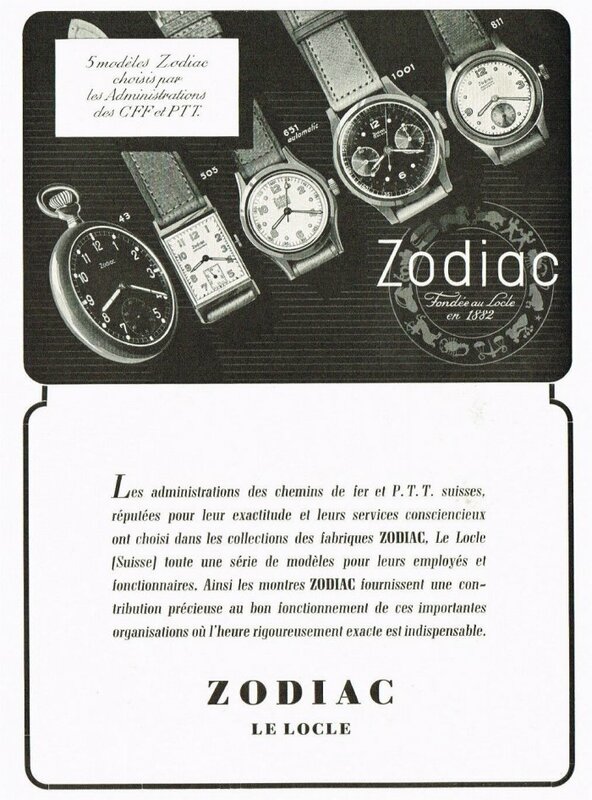 The brand has received some attention on the forum of late. 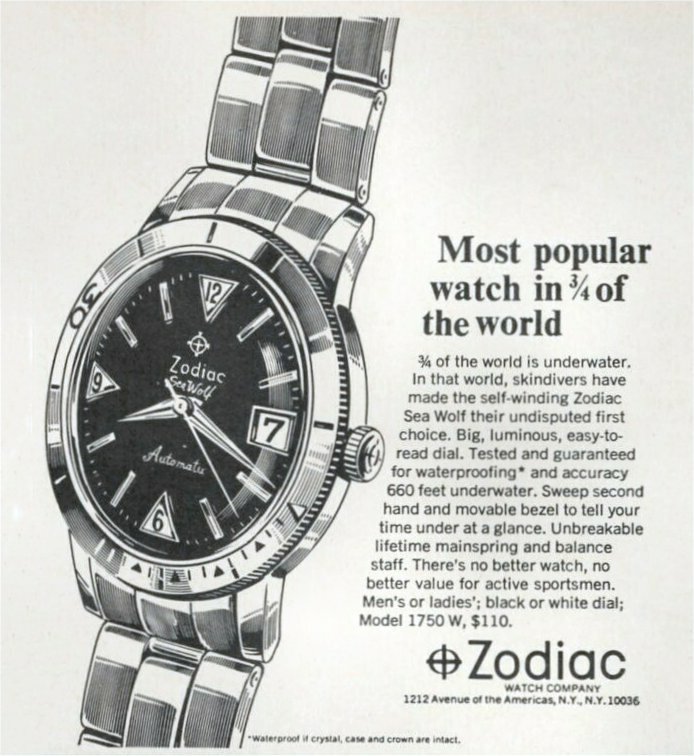 Do you have any Zodiac watches, be they pre or post-Fossil ownership? Please show them. 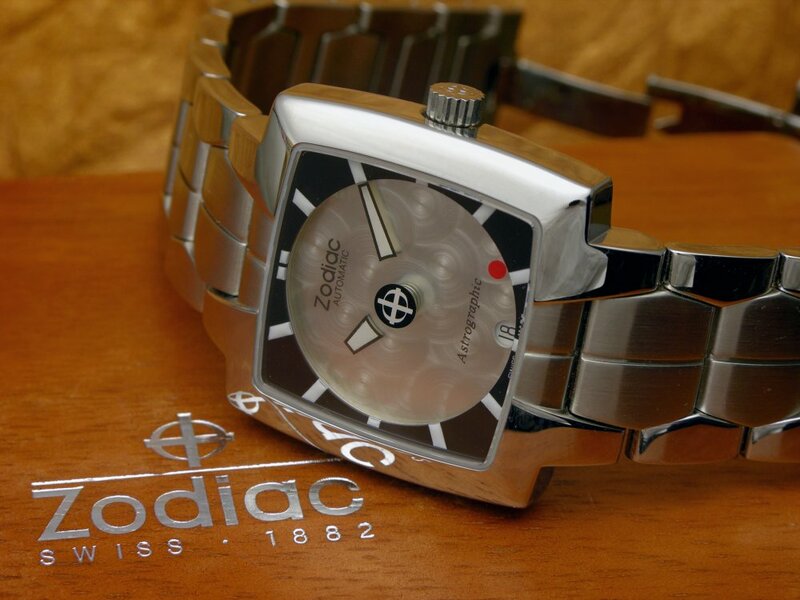 I have one Zodiac watch, this Astrographic 2000 mystery watch. 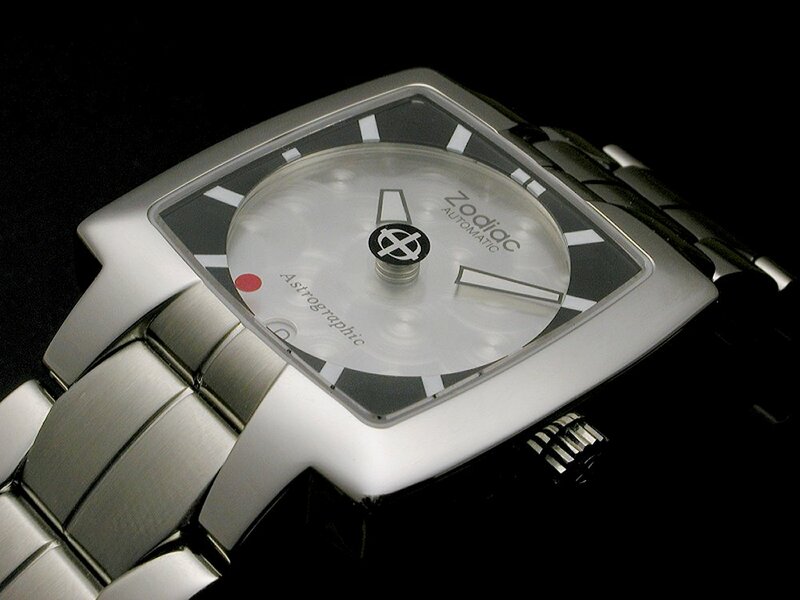 The hands are replaced by transparent discs thus earning the "mystery" moniker as there seems to be no visible support for the "hands". 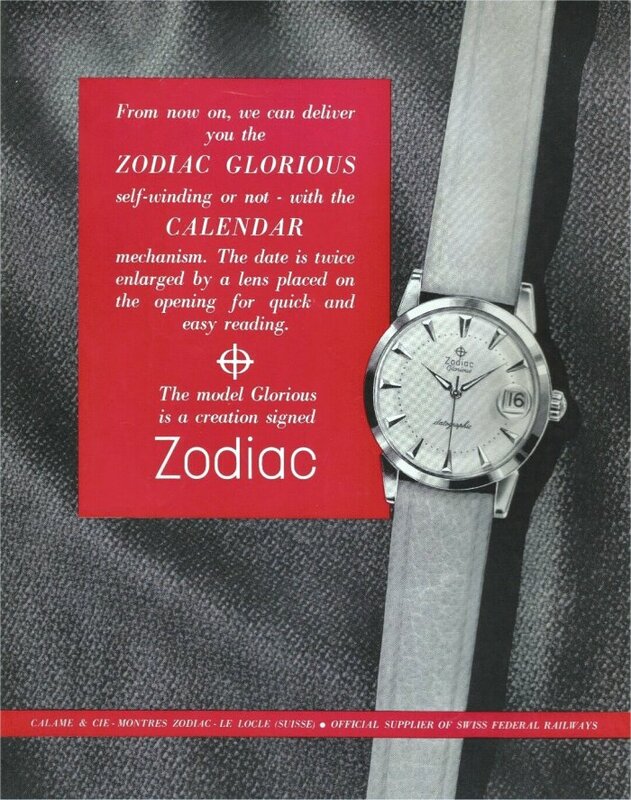 It uses an ETA cal. 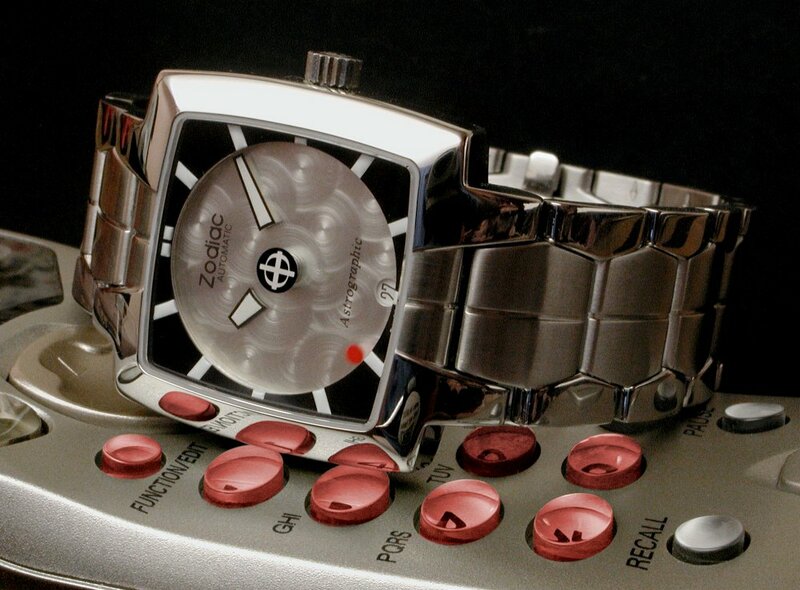 2824 automatic movement. 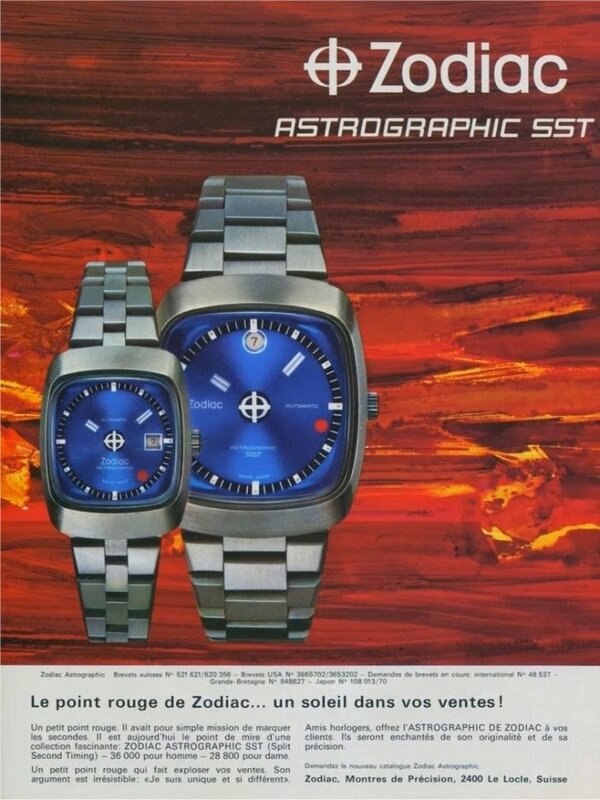 This was the last of a long line of Astrographics made before the Zodiac Watch Co. was purchased by Fossil. It's been good to see that the line has been continued since then. 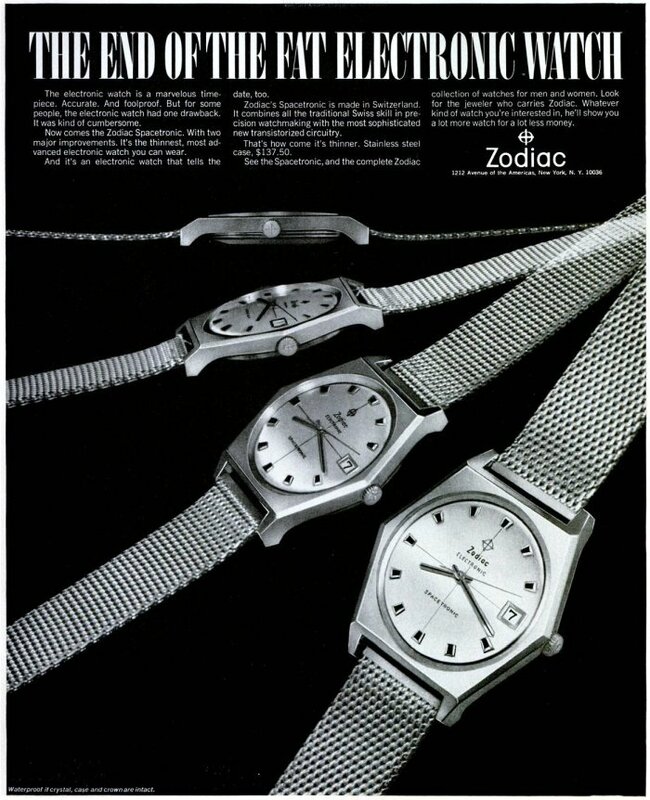 Here's some vintage Zodiac magazine ads.